We FINALLY got our last inspection today. 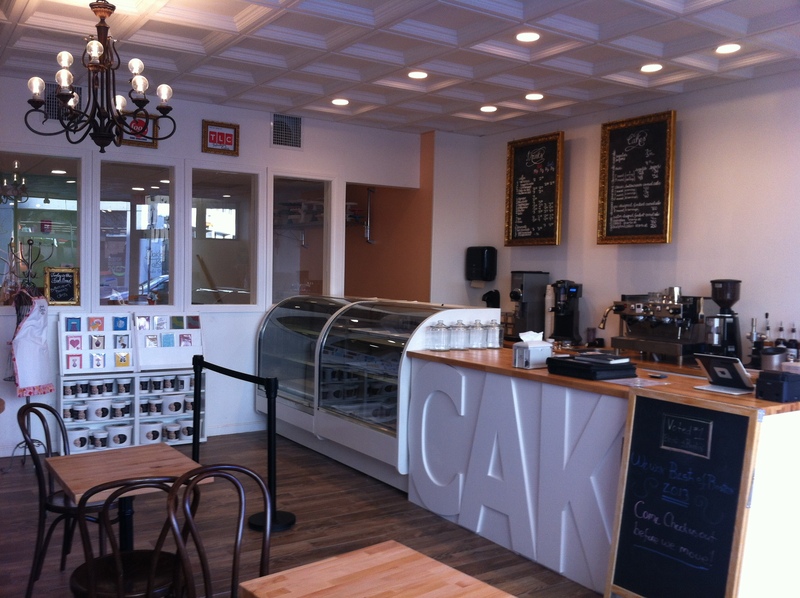 We’ve successfully moved our little custom cake shop from Winthrop to Boston! We’re at 12 Westland Ave in Boston. Right around the corner from Symphony Hall. We will be opening this Monday (10-28-13) at 8am. We are also taking custom cake orders. Call or email us with those. 8 months ago we found this location (used to be a dry cleaner for those who are familiar with the area). Since February, we’ve: negotiated a lease, got a SBA loan, designed a new storefront, coordinated construction (a huge chunk of which we did ourselves: all the tile laying, drywall plastering, painting and cake counter building), experimented with new recipes and coffee, won Best of Boston, and now just this week we wrestled our way through the Boston inspections department. Phew! It’s been a TON of work and we’ve finally made it to our opening week! Our family! Enormous thanks goes to: Amanda’s mom for making our custom and adorable aprons. Wait’ll you see them. 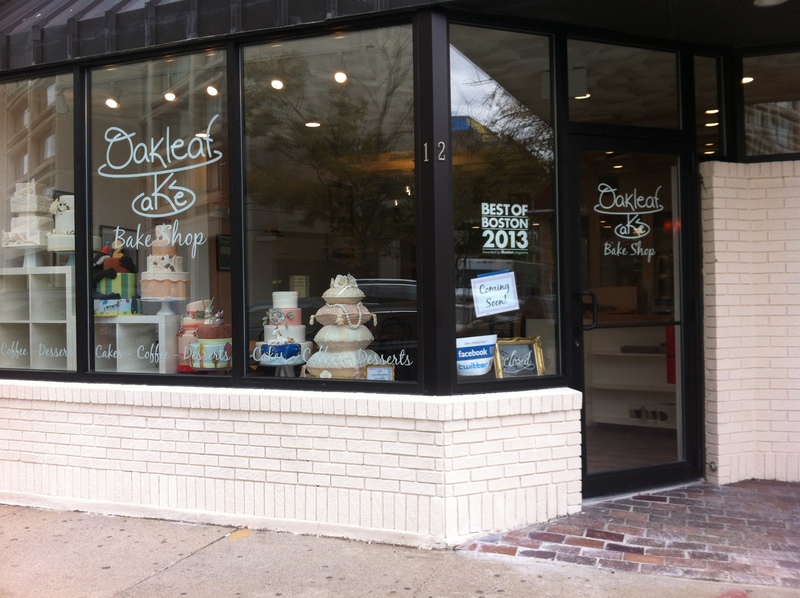 Amanda’s Dad for scoring an amazing deal on our 2 double stack convection ovens and cleaning them inside and out. Tyler’s mom for coming out to Boston to help us lay ALL the cement board and tile! Tyler’s dad for fixing up and donating an awesome truck which we used to haul our ovens to Boston all the way from our hometown in South Dakota. Our Crew! Our awesome staff of bakers, decorators and artists who have stuck with us through this rough and lengthy transition. Sometimes working too many hours, sometimes too few hrs and sometimes doing tasks for which they were not hired to do. Our crew have all helped paint, plaster walls and even lay tile. Surprisingly, the tools and techniques used for plastering and tile laying are actually quite similar to those used for cake decorating. Needless to say they caught on quickly. All the extra work was worth it because we all believe in how awesome our new store can be/is. We’re very proud of all of them and couldn’t ask for a better crew. Our Customers! Our customers have put up with quite a few schedule changes, especially with the classes and tastings. We will now be resuming our regular classes and tasting schedules as planned. We will also now be arranging pick ups and deliveries of custom cakes as normal. We appreciate you putting up with a few difficulties during our transition and we look forward to making lots more cakes for lots more of your upcoming events! Without our lovely customers it would be pretty silly to get as excited about cakes as art as we do. : ) Thanks! It’s DONE! Come see us on Monday! It has been fabulous and wonderful sharing in your journey. In this quick world we forget that special things are worth waiting for. Can’t wait to check out your new place.